Electrical and Solar PV contractor with emphasis on sustainable design. 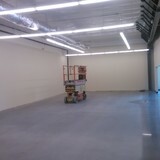 Full service electrical contracting , serving Colorado's mountain areas. Fast paced and detail oriented ,We see your projects through to completion with EXPERT and customer oriented service. New Electric is a fully licensed, bonded and insured electrical contractor serving the Colorado high country for almost 40 years. We specialize in residential commercial and industrial projects large and small, with the utmost attention paid to details and the needs of our customers. New Electric is a fully licensed, bonded and insured electrical contractor serving the Colorado high country for almost 40 years. We specialize in residential projects large and small, with the utmost attention paid to details and the needs of our customers. n business since 1982, F D Taylor Electrical Construction Company is a professional quality electrical contractor. We are family owned and operated, allowing us to personalize our service to your needs. We specialize in new construction for commercial, industrial, and residential installations and also provide quick response to service and repair needs for our customers. Our services include: building wiring, re-wiring, hot tub and spa wiring, electrical troubleshooting, generator wiring, etc. Durgin Electric, LLC. is a full service, owner operated, electrical contracting company serving residential, commercial and industrial customers in the Roaring Fork Valley, Aspen, Basalt, Carbondale, Glenwood Springs and beyond. Our in-house experts stay up to date on the latest technology to offer state-of-the-art performance on all installations. We consider every project a team effort and always meet our deadlines. In 1993, the company established R & A Enterprises of Western Colorado, Inc. to provide infrastructure services for the telecommunications installations of such clients as Qwest and Level 3 Communications. In 2014, we opened our R&A of Montrose LLC office in Montrose to service the Telluride and Uncompahgre Valley area. Currently, both R & A Enterprises of Carbondale and R & A Enterprises of Western Colorado provide electrical subcontracting services throughout the Western Slope Region. In addition to our substantial local service department and our high end residential subcontract work, our business focus also includes the growing natural gas industry in the Piceance Basin, where we currently subcontract with several large Oil & Gas Services providers. With recent growing interests in going green we have a team member that is devoted to helping with Energy Efficient projects and helping our clients obtain energy rebates for these projects. Emmons Electric specializes in residential and commercial electrical work. Utilizing skills in new construction, remodeling, troubleshooting & repairs. The mission of Emmons Electric is to maintain quality work while providing electrical needs for all clients. Family owned and operated Cropper Electric, Inc. has been offering electrical services in Summit County, CO for over 25 years. We take pride in our excellent customer service and high quality electrical work. Our office is located in Silverthorne, CO and we will consult with you for all your electrical needs in Summit County and surrounding areas. Whether your project is for your home or business our qualified electricians will help you enhance your space with beautiful lighting. We are a young and upcoming electrical company who want to serve homeowners. We love to do any job from small service call work to big custom homes throughout the Aspen Colorado valley. 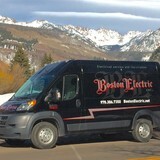 What do licensed Aspen electricians do? An electrical contractor plans, installs and repairs wiring in structures. He or she works closely with the home’s general contractor or remodeling contractor to determine the specific electrical needs for the project and to ensure that the wiring will meet Aspen, CO building codes. An electrical contractor’s job also includes installing and repairing fixtures, switches and other visible components of electrical systems. With today’s technological needs and advances, many electricians in Aspen, CO also are trained to install fiber optic and coaxial cables for electronic equipment. Certain electrical companies may design and install data systems and wire for security features such as alarms too. Some Aspen electrical contractors specialize in specific areas, such as HVAC, low-voltage appliances and systems and more, so be sure to ask about their training to see if it fits your project needs. 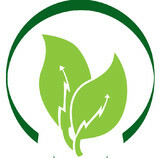 Find a certified Aspen electrician on Houzz. Narrow your search in the Professionals section of the website to Aspen, CO electrical contractors. Here are some related professionals and vendors to complement the work of electricians: Lighting Showrooms & Sales, General Contractors, Solar Energy Contractors, Heating & Cooling Sales & Repair.